But before i start , i would like to ask Singapore travellers who are travelling to Korea to be extra careful due to the MERS outbreak in South Korea right now. It is kinda serious because Korean news site such as Naver have been reporting and updating the cases on Korean internet and news channels. It is Middle East Coronavirus . Many South Koreans were infected with the virus. 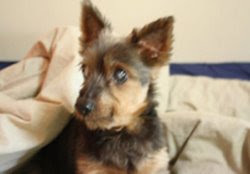 You can read HERE for more details. Bring a mask just incase the situation worsen and who knows by then it will be difficult to find masks if you need. So please be vigilant and becareful. Read up the red-flagged area in the cities you are traveling to. Now , people don’t go for thick foundations , eye make ups that looks like as if you are going for a wedding dinner or a fashion shoot or too glossy lips. It is about going natural. A Korean make up artist told me that now people don’t show off their make up skills by applying bold colours or thick eye make up anymore. It is how you managed to make it as if there is nothing applied except a simple eye shadow and eyeliner even though you actually put on a lot of make up . And at the same time , still makes your eyes look naturally attractive. It is to create a “as if i didn’t put on make up” look. 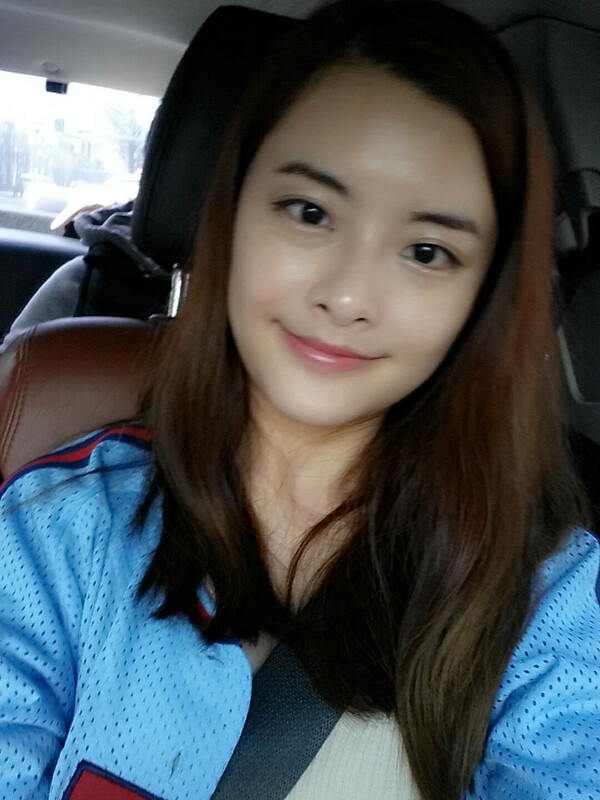 My make up artist Yoona Han is really good at that. She is a Korean. I took quite long to master this kind of skill. Sometimes , people asked if i put on make up and that means that day’s natural make up is successful because they don’t know if its make up or not. Im not perfect yet though because i do have my “failed days” which usually happens when i did not have enough sleep and my skin was abit dry so the make up doesn’t set properly. This is not the first time i have blogged about Korean air cushions. 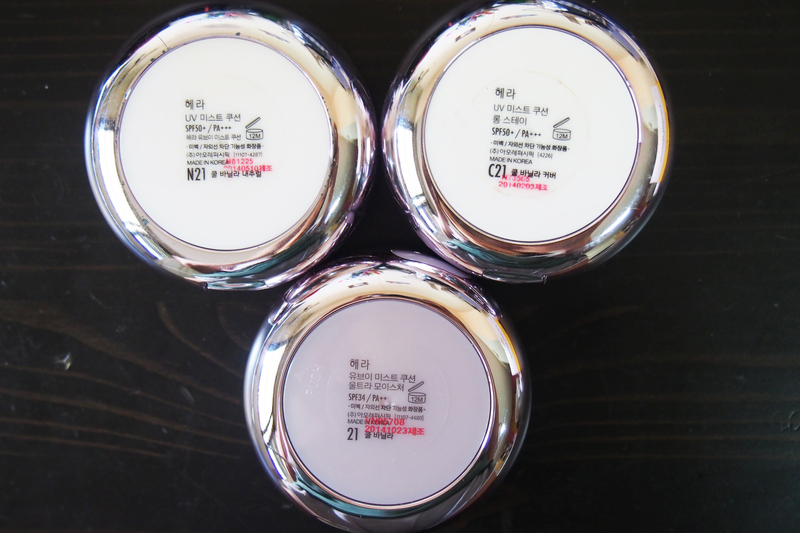 I blogged about the top 3 air cushion brands which i used before over HERE. If you do not know the history , AmorePacific ( a South Korean beauty company ) was the first in the world to invent the air cushion foundation back in 2008. Brands such as Iope , Laneige , Hera , Sulwhasoo and many others are under Amore Pacific wing. The first air cushion invented in the world was Iope Air Cushion which is still a popular choice among the locals. If you go to any public toilet in Korea , you will see most girls’ make up pouches contain the Iope Air Cushion. Now everywhere in Korea , you can find air cushions everywhere. It is very convenient. There is no need to bring a beauty blender , foundation brush and your bottle of foundation which can be heavy and cumbersome. The air cushions are very compact , light weight and the foundation soaked in the cushions can last you about 2 months. All cushions comes with a refill when you buy it in a box. Iope is available in Lotte Mart or Aritaum. The sponge also helps to blend in for a natural finish. I tried using Iope before but personally i feel that it is not that moisturizing and the colour runs abit beige on my skin which doesn’t really suit. Hera suits my skin tone better and it gives a more dewy look on my skin as compared to Iope. Iope is good but just that the colour doesn’t work on my skin. Just like how Sulwhasoo’s air cushion colour looks orangey on my skin tone. So , best is to try the colour first before purchasing and not just buy because you think that all air cushions under Amore-Pacific should the same. From my personal experience , the Iope one looks abit beige or yellow on my skin , Hera one gives a more radiant pink tone but the Sulwhasoo one makes my skin looks abit orange. Ive been using Hera for the past 2.5 years and im now a big loyal fan. Hera is not available in SG but i heard it may come into SG. But still i prefer to buy them in Korea because it is cheaper , tax refundable and also more and generous samples. 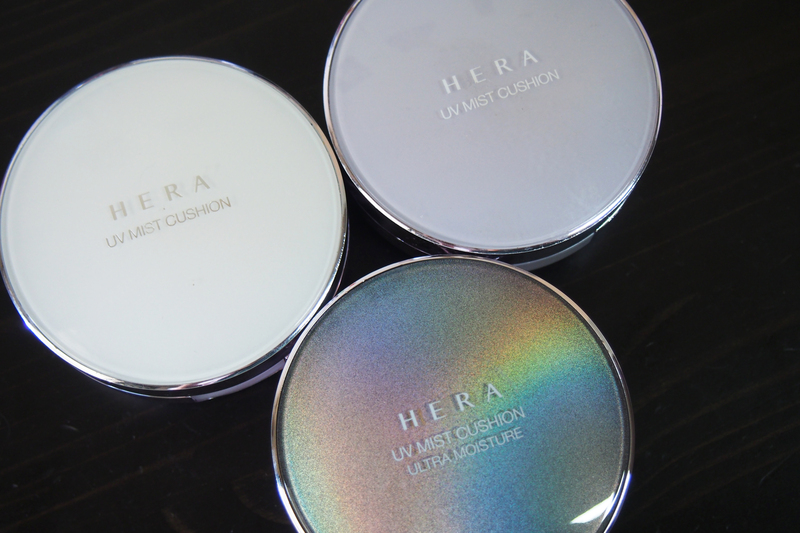 I had 3 different types of air cushions from Hera. Yes there are currently 3 types and each for different season. The Summer Long Stay version is for hot and humid Summer weather whereas the Ultra moisture is for winter. The Summer Long Stay version has a better and thicker coverage ( C stands for Cover ) and indeed it doesn’t melt on my skin despite the hot and humid weather which is why im switching to the Long stay version now because May and June gonna be very hot and humid. The make up stays and i only need to touch up once. The Ultra Moisture version was supposed to lock in moisture and at the same time prevents your foundation from caking. I blogged about it HERE before. I used it during my Spring trip to Korea back in March which was few months ago. My make up did not cake or look dry because of the cold weather. Instead , this cushion sets in properly and smoothly. This was taken when i was in Busan during Spring. It really sets in nicely. But i won’t suggest using this during hot and humid weather. I tried it last week and it made my face looks oily. I guess it works on people with dry skin better in SG’s humid weather. But at least now i have an air cushion which i can use when i travel to cold countries. How long does it last – I touched up only twice so i will give it 7/10. The normal version is for everyday use or maybe on mlid weather conditions. This one works better on normal SG weather. I use this everyday but i realized i need to touch up alot when the weather gets very hot and humid. But it is ok if im indoor. Good thing about this is that it gives a dewy finish without looking too oily. Looks natural too. It evens out my skin tone. In summary , you can buy these 3 versions . Use the normal one on daily basis , Long stay if you are going out for activities or beaches etc , Ultra moisture when you are traveling to cold countries of if you have dry skin. One thing i like about these cushions are that it comes with SPF50. YAY to sunscreen ! I didnt get really burnt when i apply this UV mist cushion. I got a new primer and concealer from Tarte and i love it. Gonna review and share it soon ! This entry was posted in BB Cushions, Hera, Korean beauty, Korean MakeUp and tagged Air Cushions, Hera, Korean beauty, Korean MakeUp.